On Monday night, the Interfraternity Council Presidents at Indiana University met to deliberate the state of Greek life for the rest of the semester. Taking a chapter out of the University of Michigan's playbook, the committee voted to suspend all IFC social events and new member activities until February 28, 2018. "We are looking forward to working with our partners on campus as well as national headquarters and alumni to achieve our common goal of creating a sustainable environment for all our chapters to excel in future endeavors,” IFC President Andrew Cowie wrote in a statement. 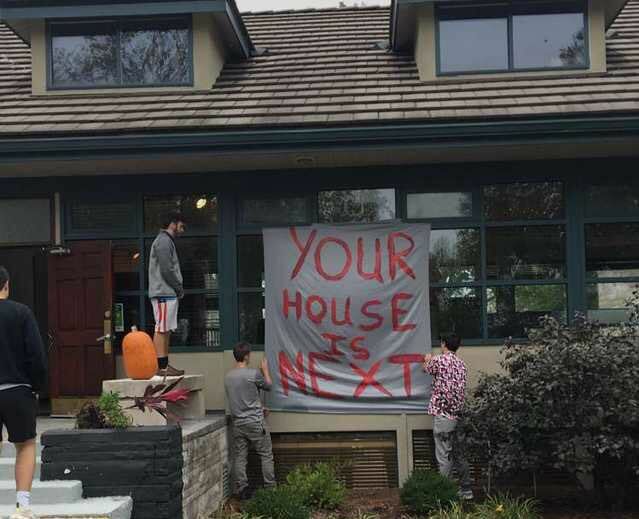 The vote makes IU the fifth university to suspend Greek life in some way, joining Florida State University, Ohio State, UMich and Louisiana State University. The suspensions all followed sexual misconduct allegations against fraternities and tragic deaths of pledges that sparked national attention. "Some other campuses made this decision at an administrative level, so the hope was to be able to have that conversation at an IFC level before it got to that point," a sorority president wrote to her chapter in an email. Vice Provost for Student Affairs Lori Reesor confirmed the suspension of IU's 30 fraternities via Twitter. This evening @IUB_IFC unanimously voted to temporarily suspend fraternity social and new member activities. I commend these student leaders for their efforts and look forward to working with them to create a safer environment for all IU students. Moments later, Student Body President Dan Niersbach tweeted that he was proud of IFC for the temporary ban. In a statement, Reesor reassured the student body that the suspension was not triggered by any specific incident, and the University didn't plan to ban the entire fraternity system. "Rather IFC wanted to make a strong statement to demonstrate their commitment to a Greek community that lives up to its values of scholarship, brotherhood, and service," Reesor wrote. Students vocalized their anger at IU for banning Greek life, despite IFC having self-imposed the ban. "IU Greek life suspended?" Twitter user @meredithtweetin wrote. iu greek life suspended? me and my friends are looking for a 5th roommate.. Despite Reesor's statement, IU students are still asking why did it happen? IU senior Martin Medina, a Lambda Chi Alpha fraternity member, thinks IFC did it primarily out of fear. "Frats are scared shitless their house is gonna be next to get kicked off," Medina told The Tab. "If something happens it'll be the end of Greek life, so better be safe than sorry." Medina is a rising musician at the Bloomington campus and is often found DJing at Kilroy's on Kirkwood. He was set to play at two date function parties this week and has yet to hear if they're cancelled. "Honestly though, I couldn't care less," Medina said. "If anything the ban may give me more opportunities outside of Greek life, I'm here to make money moves." However, some students believe that IU pressured IFC into the three-month ban. "I have brothers on IFC, and from what they have told me, it seems like they had no choice," IU student and fraternity member Anthony told The Tab. As seen at other universities in a similar boat, Greek life members are instructed not to speak to the media. For the sake of the interview, The Tab has chosen to preserve Anthony's anonymity. "What they don’t understand is the value that Greek life adds to Indiana University," Anthony said. "I can attribute probably 80% of my love for this University to my experience with my fraternity, and I’m sure many feel the same way." Delta Upsilon fraternity advisor and IU alum Troy Bontrager ('89) says the University was asking for data and information — "transports, BAC, hazing"— that IFC believed could result in a ban. "The IFC members believe there needs to be a culture change or the Greek system is doomed," Bontrager said. "They are rightly getting in front of the issue and taking the lead instead of being dictated to." Based on his various visits to DU to meet with undergrads, Bontrager says some things have stayed very much the same since he was a student at IU nearly 30 years ago. The "social pecking order" hasn't changed, the need to party to blow off steam after a hard day's work is the same, and so is the desire to meet new people. What has changed? Party regulations. When he was a student, Bontrager said fraternity parties weren't sanctioned at all, and every party was "a roll of the dice" stocked with dozens of kegs. There was just one semester when DU was put on probation. "The University seemed to have a throw a dart at the board approach to who got in trouble," Bontrager said. "Today every party is registered, no kegs, beer and wine is permitted, sober monitors, transports, strict guest lists, and they throw much bigger parties with multiple houses." In early October, Sigma Nu was suspended for hazing and alcohol related violations. Booting Snu — the nicknamed bestowed on the frat — shook the Bloomington campus, as legend has it that fraternity member and ex-president of IU Herman B Wells granted his fraternity immunity from expulsion in his will. "I think a lot of people saw this coming," said Sigma Delta Tau sorority member Kelsey Bardach. "It was a proactive decision, but also reactive." As a senior, the ban doesn't effect Bardach much. Her group of friends stopped going to fraternity parties as soon as they turned 21-years-old and could legally access popular campus bars like Sports and Kilroy's. As for prospective students, Bardach thinks the ban may deter them from enrolling at IU. "Part of the appeal of going to IU or any big 10 school is Greek life," Bardach said. "For a lot of people it's been a tradition for their families to be in the same organization." Evan Zisook was watching football when he received a text from his sister who delivered the news. 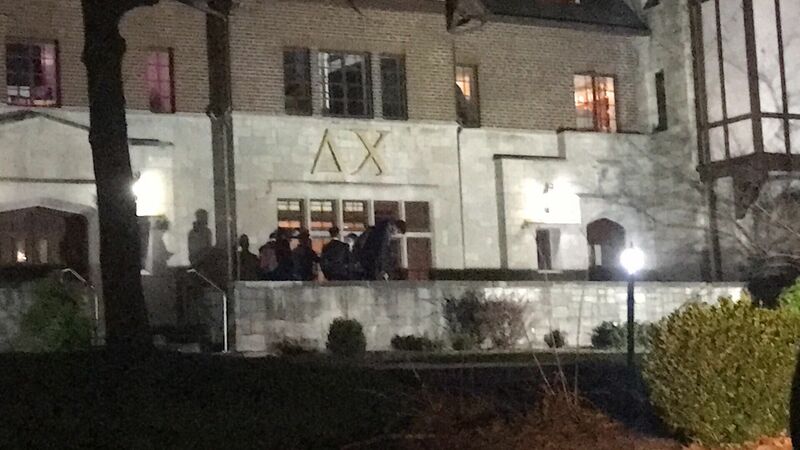 With rumors swirling all night, the Alpha Epsilon Pi fraternity member knew something was up. When his suspicions were confirmed, he was shocked and confused. "Greek life is something that brings our campus together for the better and for it to be taken away is just shocking," Zisook said. Since joining AEPi three years ago, Zisook said Greek life has benefited him in more ways than he thought possible. "Being apart of something that is bigger than yourself is something I’m always honored to take part in," he said.